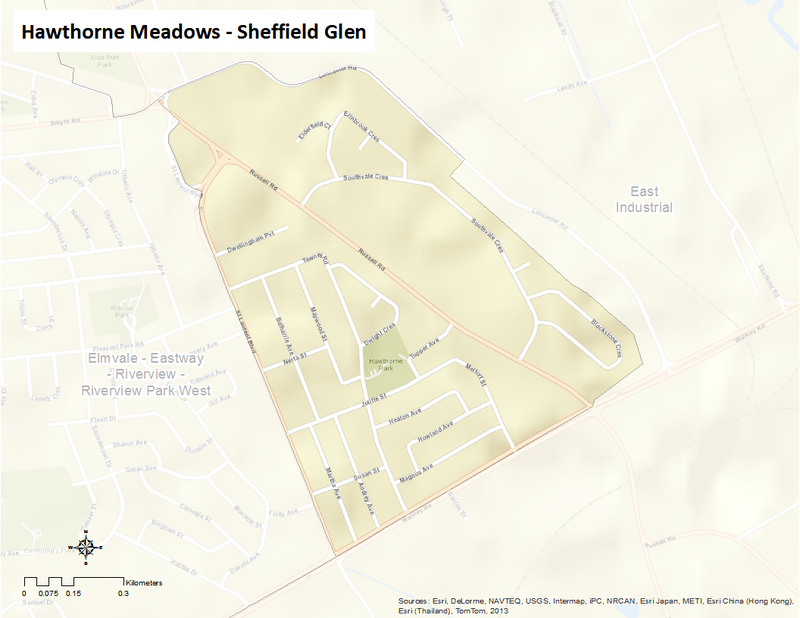 Hawthorne Meadows-Sheffield Glen is bounded by Lancaster Road on the north and east, Walkley Road on the south, and St-Laurent Blvd. to the west. Considered part of Elmvale Acres, this once agricultural-now mainly residential land was part of the township of Gloucester before its amalgamation with the City of Ottawa. The Sheffield Glen portion of the neighbourhood is also referred to as Southvale; Southvale Crescent is one of the neighbourhood’s main streets.